The first of Veronica Roth's planned Divergent eShorts will arrive in less than a month. Earlier this summer, we learned that Roth was writing four short eBooks which would be told from Tobias' perspectives, the first of which is titled The Transfer. Today we get our first look at the cover of The Transfer, which reveals a circle made up of train cars, some of which appear to be colliding with one another. In the background, a tilted view of the Chicago skyline is in view. Divergent is a young-adult series set in dystopian Chicago, where society is broken up into five factions. The story is told from the perspective of Tris, a teen who learns she's Divergent, which means she'll never fit in to any one faction. After choosing her faction, she begins her training, which puts her in the path of Four, also known as Tobias, who soon becomes her closest friend and love interest. Throughout the first two novels in the series, we get to know Four a bit better, but there's more to his story, and it's likely fans are eager to learn it. Roth has already visited Four's perspective with Free Four, a 15-page story that tells the knife-throwing scene from Four's perspective. From what we know about the upcoming eShorts Roth has planned, these would be original stories told from Four's perspective. When I spoke to Roth at Comic-Con last month, she described them as "kind of a little disjointed prequels to Divergent from Tobias' perspective." Though she did say there would be some overlap with Divergent, with "a little bit of Tris in the last one." Hypable shared the above photo, along with the reminder that The Transfer will be available for purchase on September 3. Amazon already has it available for the low price of $1.99. Kindle users (or anyone with access to a Kindle app) can pre-order the eShort and have it delivered to their device the moment it becomes available. 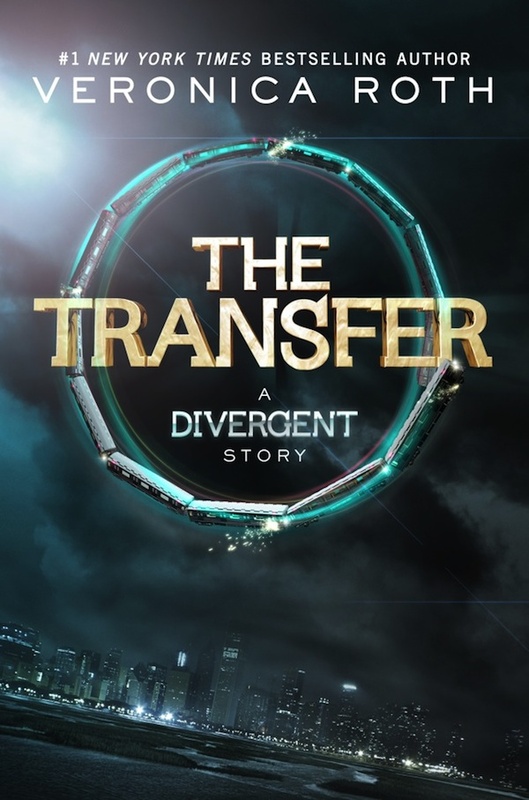 As Hypable points out, the cover for The Transfer follows the trend of circles on the covers of the Divergent books, including the cover of Allegiant, which is the third and final (full) book in the Divergent trilogy, and arrives on October 22. It's interesting (in a good way) to see some emphasis being placed on the cover for this book, considering it's expected to be a short story and it's being published as an eBook. I have a Kindle Touch, which means everything is black-and-white, so I don't spend a whole lot of time appreciating the covers of the books I read anymore. But it's good to see the art form isn't getting lost even as books go digital. September 24 - The Transfer.